One challenging thing about content creation for social media is that you need to have a steady stream of ideas. Whether you post once per week or once per day, you need to always be thinking about what’s coming up next. Spend some time reading: Reading about your industry is one of the best ways to come up with ideas on what to write. If you’re well-versed in the business you’re writing about, you will inevitably have an opinion about something you’ve read, which can lead to a great article or blog post. You can also write a counterpoint article about something that someone else has written. Get a little off topic: Not every bit of content you write needs to be exactly on topic. Sometimes writing something that’s loosely relevant can be a great way to broaden your topic base. Get creative: Check out the calendars that have odd commemorations, such as “friends day” or “national pizza day.” There may be something interesting coming up that could spark an idea. The most important thing about a social media content strategy is to plan ahead. 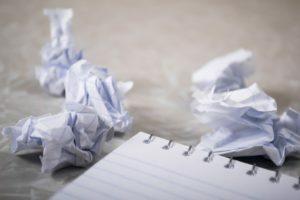 Have ideas for at least the next several weeks, so if writer’s block hits, it won’t put a stop to your content posting right away.